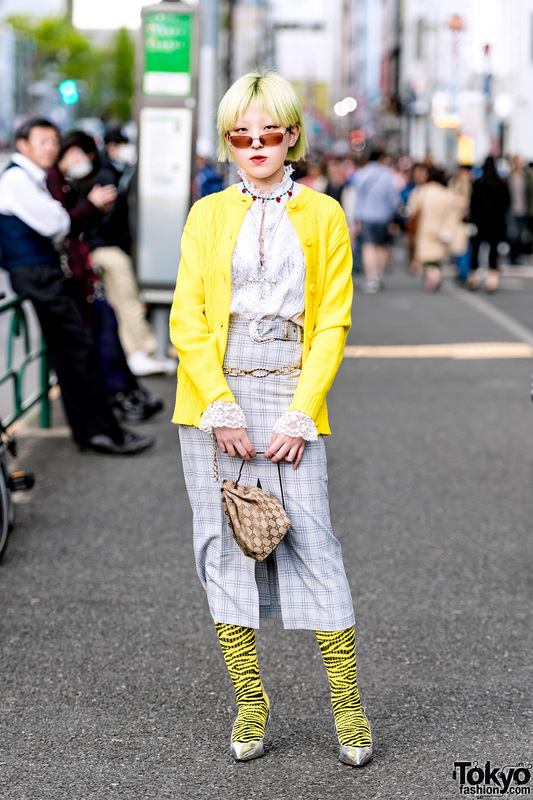 While on the Tokyo streets we met Saki, an 18-year-old student who caught our eye with her striking yellow-and-white street style outfit. 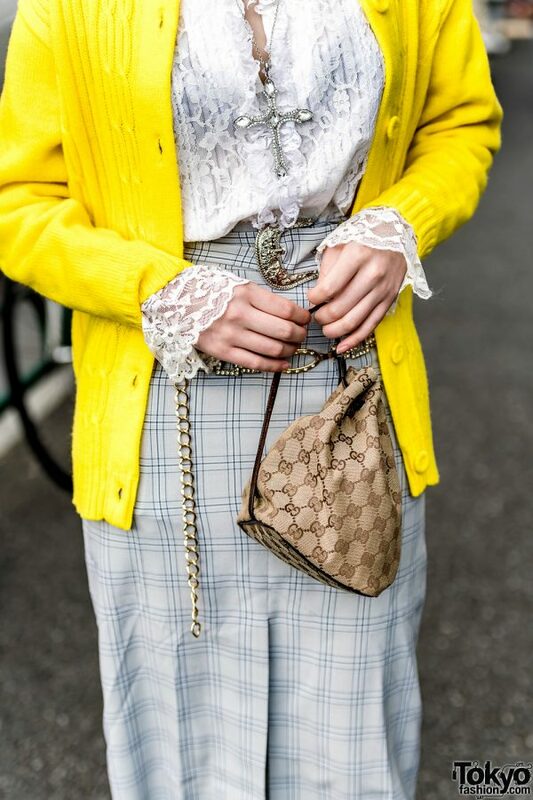 Sporting a faded neon green bob with blunt bangs, Saki is dressed in a yellow knit cardigan, which she styled with a long-sleeve keyhole lace blouse featuring a lace collar trim and ruffled cuffs. She tucked her lace blouse into a plaid midi-length pencil skirt from Faith Tokyo, showing a center slit and belted waist. 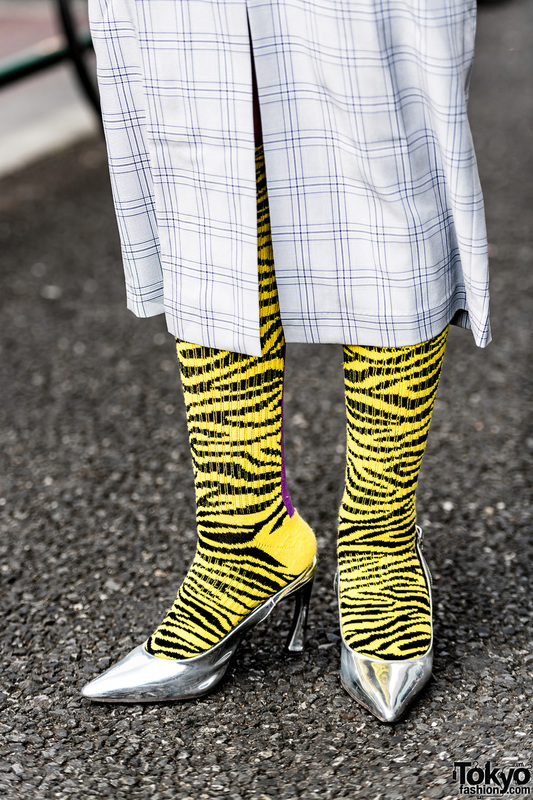 Yellow-and-black zebra print tights, metallic pointy-toed slingbacks from Faith Tokyo, and a drawstring pouch bag from Gucci completed her ensemble. She accessorized with red-tinted sunglasses, multiple ear studs, a beaded flower collar necklace layered with a double layer cross necklace, and a gold chain belt. 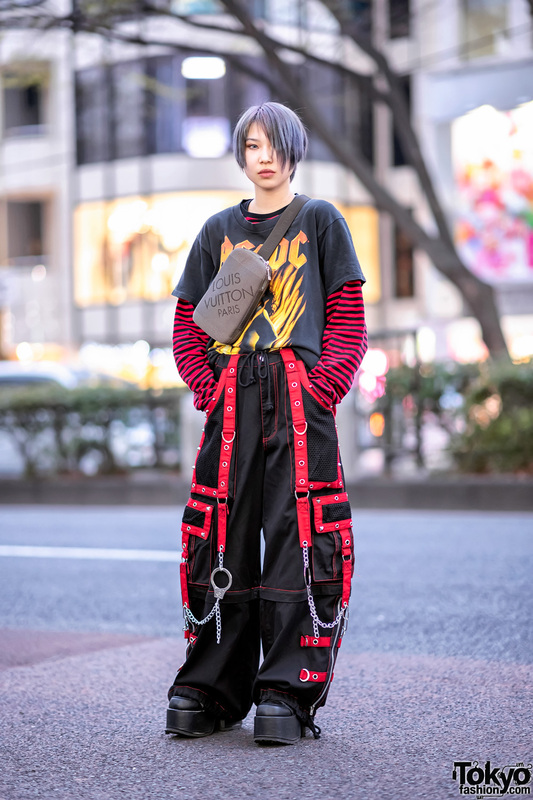 Saki is active on Instagram, follow her for more on her style feed.